Ordered swamp white oaks. Love my plants. I will be reordering more soon. I cannot believe the beauty this tree gives, I have had one planted for over 30 yrs now and it becomes larger and larger each year. I recommend it to anyone! 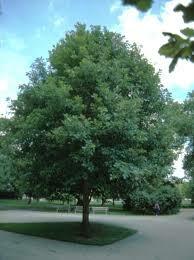 Swamp White Oak Tree is a type of White Oak and known as adaptable to various soils. This oak resembles the ordinary White oak with similar bark, they are very rarely a pure white color and usually have a light gray hue. The green leaves of the Swamp White Oak are easily recognizable by their rounded tips. In fall the foliage becomes brown, yellow-brown or occasionally red. This tree has subdued colors during fall, making it the perfect tree to contrast with other types of oak. The Swamp White Oak livens up gardens as it attracts birds, deer, and various wildlife. These trees make fantastic shade trees for lawns because of the size they can grow to become. They have full crowns and are covered with gorgeous green leaves during the spring and summer. They are also hardy and can withstand strong winds very well and to winter storms. These look amazing as they grow and become healthy and adds lots of much-needed curb appeal to all lawns and natural areas where grown. These are very easy to grow and takes no special care. The squirrels love playing in these trees when they become tall and have large branches. These are an excellent choice for all homeowners and landscapers and bring lots of beauty to a location. The swamp white oak tree grows to be about 55 feet tall and 55 feet wide with a beautifully rounded canopy. It makes an outstanding candidate when a tall shade tree is desired because of its broad crown. This tree has dark green leaves with a silvery-white underside from early spring through the end of summer. Then the rounded, lobed leaves turn gold and orange in the fall. This tree prefers acid soil that drains well. This tree, however, can withstand both drought and flood once it is established. This tree bears brown acorns that are about 1 inch long. Swamp White Oak is native to the lower parts of Canada, and the east coast of the United States. It has commonly been used for lumber purposes, but in recent years has become very popular amongst residential communities. This tree is also known as a Swamp Oak and is often confused with White Oak Trees. It has richly color leaves, which are an intense green color. The leaves are very small and are olive-shaped. The Bi-Color White Oak tree can be grown anywhere in the lower 48 states and is a tree that is very resistant to cold. It has become very popular near ponds and can survive intermittent flooding. This tree will produce small acorns during the summer month, and many native animals will often use this tree as a maker of food. Alba White Oaks were used for food by the Native Americans. The bark is light grey and scaly. The branches are first green, later reddish green and finally grey. The leaves are 5 - 9 inches long and 3 to 4 inches wide. The leaves typically have seven lobes and rounded sinuses. The acorns are also wildlife food for turkeys, squirrels, rabbits, thrushes, woodpeckers, grackles, jays, wood ducks, pheasants, nuthatches, and deer. They grow at the height of 100 feet tall and are used for barrels to hold wine in, construction, and in interior design.